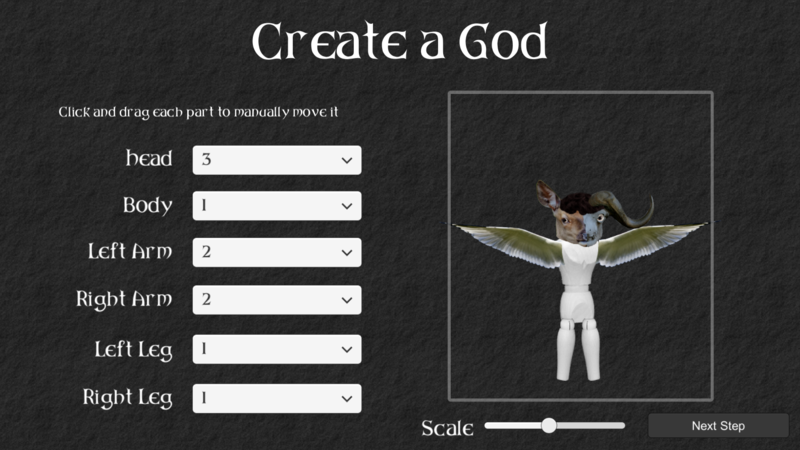 In the current build you can create a god out of parts, view people moving around their house doing activities and perform two powers on them. 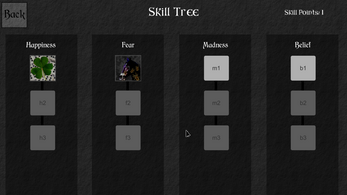 These powers have to be unlocked and equipped to be used. 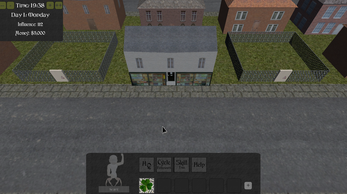 The town is semi-randomly generated and more was planned but development has halted for now. 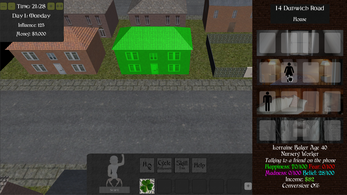 The final version was to have you converting tenants into cultists using your god powers to convert them. 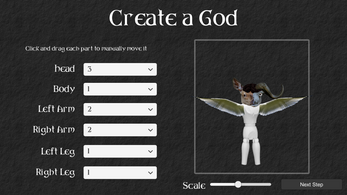 However, these god powers have side effects that effect their other stats such as 'Madness' and 'Fear'. Maximum fear would kill the tenant whilst maximum madness would have had a random chance at a positive or negative effect. 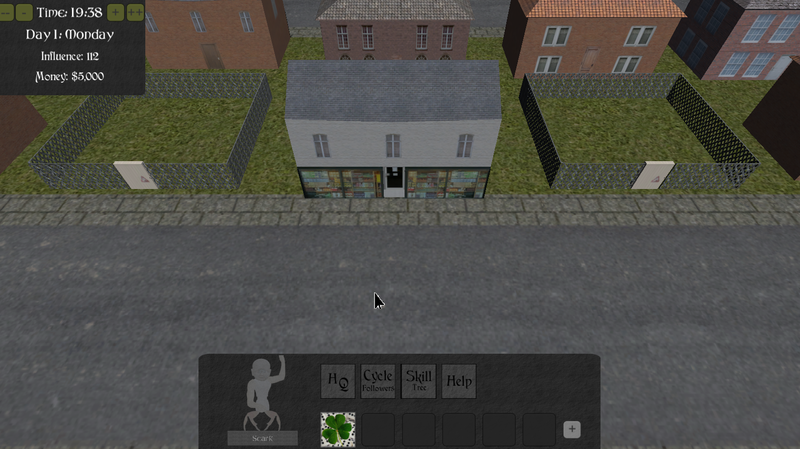 The game was going to have buildings you could buy such as shops, you gain money and power from cultists. The difficulty of the game would be in the suspicion meter that causes police and private investigators to investigate houses with high suspicion, this would result in cultists dying or suspicion increasing with the investigation team dying. Just posting this here to hopefully get some feedback on whether the core mechanics I implemented are good, as I was not happy with how people are represented in such a simple manner. 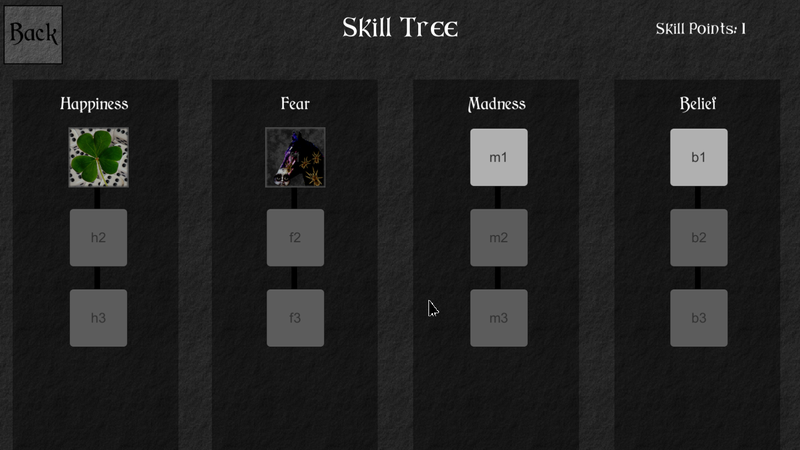 True, I only had planned fear and madness skills decreasing happiness as well as boosting fear/madness. 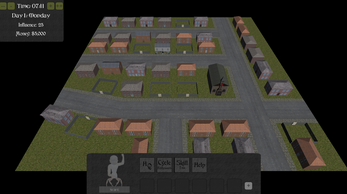 In the current version the tenants do activities that can decrease/increase happiness.